Juniata College, a private liberal arts college located in central Pennsylvania, has selected Akademos to be its online bookstore provider as it transitions to a hybrid bookstore model. With help from the Connecticut-based Akademos, the college plans to launch a virtual bookstore in an effort to increase textbook affordability for its students and improve student success. The platform is optimized for any device including smartphone and tablet, offering anytime, anywhere shopping. Image Credit: Akademos. Beginning with the Summer 2017 term, students can shop for course materials in the virtual store, which will offer a wide selection of course materials available new, used and for rent from the Akademos marketplace. On average, students will save an estimated 60 percent off list price on textbooks, according to the Akademos website. E-book formats are available in the virtual store as well. At the end of the term, students can sell back their textbooks and other course materials in the Akademos marketplace. 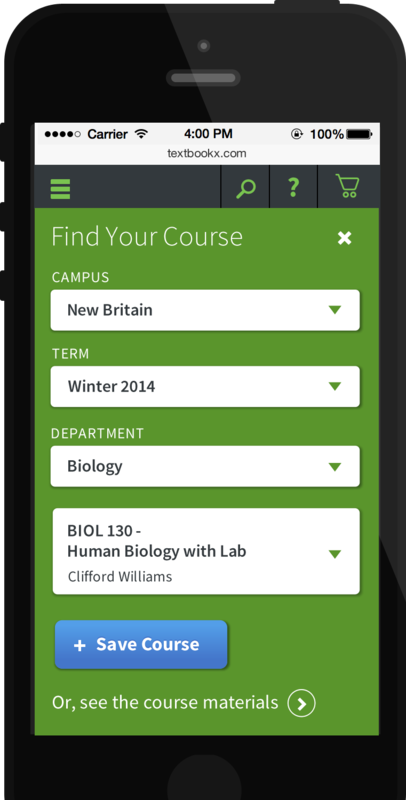 The college’s student information system will “seamlessly integrate with the Akademos online platform enabling students to see a personalized listing of the textbooks required for each of their courses and to order for an entire semester rapidly and efficiently,” a news release stated. The platform is optimized for all devices, including mobile and tablet. 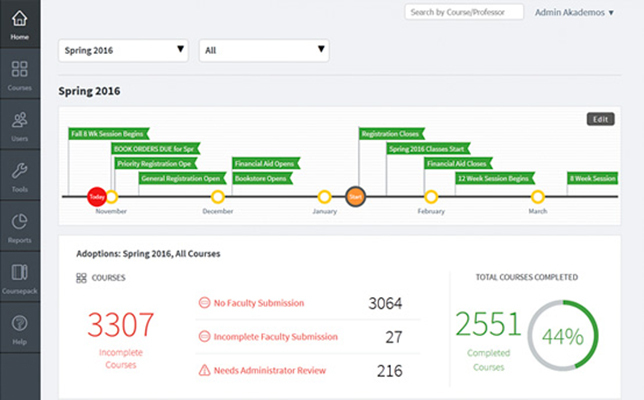 Faculty will be able to use the platform’s advanced adoptions and analytics tools to help drive student and institutional success.